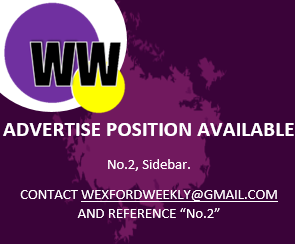 And it’s good news for Wexford hurling supporters! Less than two weeks ago, the Irish Independent reported that Wexford would lose their first home game of the National Hurling League, due to Wexford’s alleged breaching of rule 6.22b, which relates to inter-county training camps. The Model County were alleged to have breached a training ban when their Senior hurlers went abroad to Portugal in April, which was a designated club-only month. Now, however, Wexford Weekly can gladly report that Wexford will not lose their lucrative NHL home tie to All-Ireland champions, Limerick. “Wexford were apparently able to convince a hearings panel on Monday night that it was, in fact, a leisure break in Portugal that they undertook and not a training camp,” according to Colm Keys of the Irish Independent. “We didn’t train. We decided that we just wanted to relax in each other’s company…We couldn’t help but laugh at it. As a group of friends, we were entitled to do what we wanted to do,” Lee Chin said in May 2018. Wexford will host Limerick in Innovate Wexford Park, which is set to be a mouth-watering encounter to start off their competitive campaign.